One day, I will make the much-ballyhooed trip to New England during the fall, so as to catch nature in all her glory. The photos I see - with so much color - are just alive, and I find them incredibly beautiful. Living in Austin, we just don’t quite get that kind of fall. We do get cooler temps, thankfully, and get some color but nothing famous. 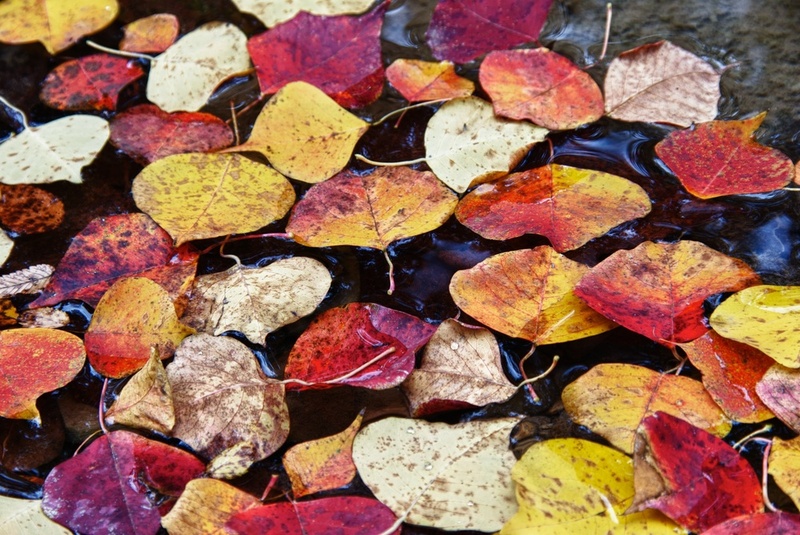 So, imagine my surprise and excitement when I came across these wonderful leaves floating in a little creek, not too far from the house! I was able to squeeze in about 1 hour yesterday to go shoot, so I headed over to the Bull Creek Greenbelt, which was chosen primarily based on proximity. I hiked around and shot waterfalls (small ones, that is) and kept looking for fall color, to no avail. Finally, I took a different path back to the car and caught a glimpse of these leaves, floating in the creek down at the bottom of a ravine. It made my trip.